Bengaluru, April 24, 2018: SPX FLOW, a US-based global manufacturing and industrial equipment supplier, has launched a 300-seater facility in Bengaluru to expand the IT and Engineering services and a state-of-the-art factory in Ahmedabad, as part of the India investment and expansion program. The global leadership team has been on a 3-city tour as part of the India growth program. SPX FLOW has a significant global presence in pumps, valves, mixers, dehydration, hydraulic tools and heat exchangers. As part of the growth and expansion, SPX FLOW is looking at hiring 200 people by 2020 including key leadership talents in India. SPX FLOW India currently has a workforce strength of 550 people across cities and contributes to less than 5% of the global revenue. Some of the clients in India include Danone, Amul, Bamul, ONGC, Reliance, NTPC, among others. The Engineering and IT center in Bangalore already cater to global operations across various sites. 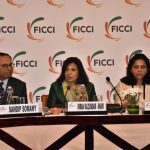 India has a balanced representation of both businesses and functions. There is quite a bit of push to grow order book and also expand IT and Engineering. Looking at a headcount growth of 25% by 2020. The company is poised to grow 20% YOY in terms of revenue in India. SPX FLOW is set to grow both organically and inorganically moving forward and India will be a key fixture in this roadmap. In India the potential for growth and untapped business is much higher than other matured markets. Commercial business is about $50 million in India currently. As part of the CAPEX investment and contributing to the ‘Make in India’ initiative of the government, the manufacturing operations has expanded with the addition of the 4th state-of-the-art facility in Ahmedabad, the second in that city and 4th factory in India apart from Jaipur and Ghaziabad. In the last year, the company has expanded its engineering, IT and HR functions; and increased its manufacturing and office footprint in Ahmedabad. It has also doubled its engineering team in India. 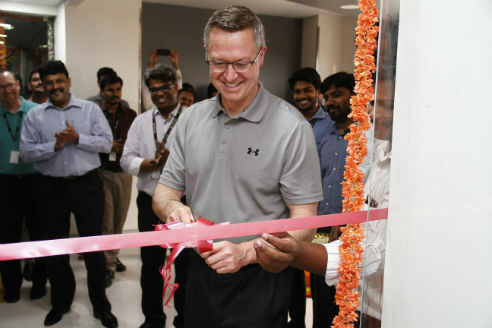 “Ahmedabad is one of our key multi-purpose sites and I’m pleased with our recent progress here and encouraged by the enthusiasm of our team members,” he said, adding that the company plans to expand its capabilities in India as business grows. The company has also significantly expanded its range of its industrial and energy products. Ms Belinda Hyde, Chief Human Resource Officer, SPX FLOW, said, “Investing in our people in India is a key part of our strategic workforce plan,” she said, pointing out that India is a strategic location for talent development. “We have built a team in India to lead our global compensation efforts and partnered with Tech Mahindra to support our global IT operations,” she said. Mr. Rajendra Karandikar, Managing Director of SPX FLOW India mentioned “ In addition to serving as important global engineering hub, this rapid expansion of High Value Center at Bengaluru helps us to bring our Globally proven technology of Mixing and pumping of fluids closer to fast growing Industrial sectors in India”.